Google Blogger is very simple and easy to start with blogs unless you start to think of custom plugins, widgets, tools and more advanced themes. 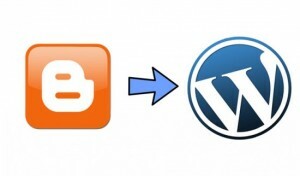 Many of us are following this path that starts in google blogspot and then migrate to WordPress. You can find several pages comparing these two platforms and also many howto pages describing the WordPress installation. In this this post I will list plugins that I found necessary to run my new WordPress blog, describe how easy it is to migrate posts from blogspot to WordPress and also describe changes in my old blogspot to redirect traffic to the new self-hosted WordPress post. Please note that WordPress can be self-hosted WordPress.org vs Free WordPress.com blog. I’ve decided for self-hosted and migrated to hosting for quite affordable price (1€/month) and cheap .eu domain (12€/year). You can find many free themes. My criteria was responsive and nice theme, so decided to go with Oblique theme. I did minor customization (changed the image) and I am quite happy, that this theme is really responsive and looks good in a phone, tablet and PC. Plugin needed to export posts and pages from old blogspot, that really worked is Blogger Importer Extended plugin. It is easy to use and I had no issue to migrate the content from the old blog. As you can see, I do not use dates in my URL and I have /blob/ prefix in my blog URI. The good thing is that you can firstly only Search before the final Replace & Save. The lightbox-plus plugin is used for nicer image viewing (just click on the image above to test it). The next page is focused on redirecting traffic from the old blogspot blog to the one (redirect every post directly to the same post in the new domain).